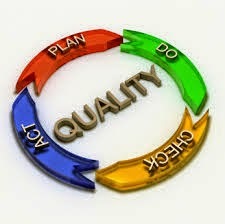 Home / Tips/Tools / What is a Quality Management System? 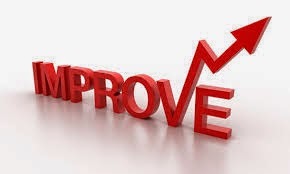 In discussing the direction of a business, leaders may use high impact words like “quality” and “improvement.” These powerful terms inspire and impassion people to strive for a better tomorrow—undoubtedly, something everyone wants. Wanting it is easy, and talking about it is almost as easy; but making it happen is a bit tougher. Everyday business processes are collections of thousands of micro events, most having some cause and effect role within the larger scheme. Those micro events are stitched together and adapted into broad macro processes. The results of those processes are end products of some sort, either material or abstract. While quality and improvement efforts do have the end result in mind, the true focus is upon how we get there—i.e., the costs, time, waste, rework, redundancies, delays, and so forth. Improvement doesn’t generally happen by chance. If a process is left alone, the odds that it will improve itself, by itself, pale in comparison to applying a structured methodology of planned improvement. By evaluating the inputs and outputs of a process, a business can exercise much more control over these factors. System is the key word in the Quality Management System, or QMS—a set of checks and balances integrated into everyday work practices to maximize desirable outcomes and minimize unwanted losses.